AcademiCamp – In collaboration with UCLA Community School. AcademiCamp is a literacy Intervention program. We host 3 weeks of Summer Day Camp/Summer School that culminates with a week of the Classic UniCamp program, offering both an educational and recreational experience. C.L.I.M.B. – (Core Lessons in Mind and Body) – An Older Camper Program that teaches campers how to safely belay other campers while they climb. O.W.L.S. 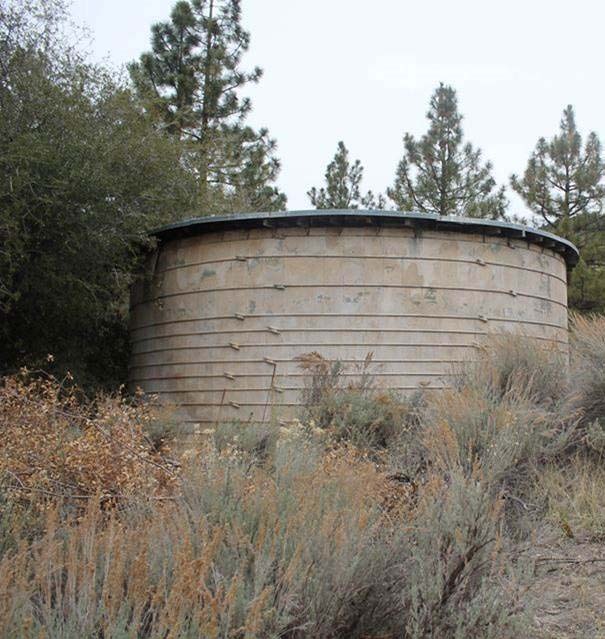 (Outdoor Wilderness Learning Seminars) – In collaboration with the UCLA Institute of the Environment and Sustainability and the Graduate school of Education. 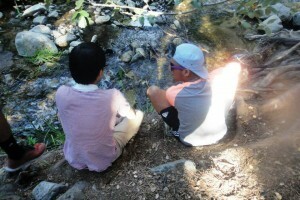 OWLS is a weeklong UniCamp camping experience filled with Environmental Education programs that have been created for us by the students of UCLA Environment Class 188A, the first official joint UCLA/ UCLA UniCamp class offered. SAIL’s “STEM to Stern” – Science, Technology, Engineering & Math through sailing. – In collaboration with UCLA Community School, this program engages our campers in the classroom and on the water. Advisors mentors older campers as they cover US Sailing’s REACH curriculum and learn to serve as a skipper and first-mate when they take “Classic” UniCamp campers out for sailing excursions over the summer. All of these programs have attracted new, designated funding, and helped us to continue to support the “studenteers” efforts, and provide “tools” for volunteers to help campers see their futures in a positive manner. 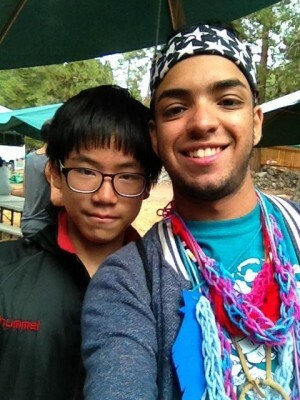 “It was my first time volunteering for UniCamp. What first seemed to be another random decision, turned out to be the most rewarding experience of the summer. To flash backwards, I was a middle village counselor. One of my campers stood out to me. He was quiet, and a little distant. His name was Galaxy. Galaxy was from Korea and had only been in the states for three months. He struggled to speak full sentences. When it was time for rotations, he insisted that he was not worthy of participating because no one could understand him. Galaxy made progress throughout the week but drama rotation changed everything. He was the last one to participate and hoped to go unnoticed. My co and I decided to have him perform with us. He shook his head nervously and was unsure of himself. Soon enough, Galaxy was playing the role of a foreign creature from Albania. It was this moment when Galaxy’s smile radiated throughout camp. The other kids loved his performance and he finally felt like he belonged to the group. What impressed me most was his respect towards everyone. He would listen to everyone, word for word and try to make sense of everything. What I value the most from our time together was the spontaneous small talk we shared. He described the hardships of Korea along with some entertaining stories and stereotypes which we both found completely amusing. I shared with him that I was once an immigrant and started off quiet and distant as well. Wouldn’t you like to help make a similar experience possible for a UCLA student volunteer next year? Yogi Berra also said: “…a nickel ain’t worth a dime anymore” … and he’s right. When you think about contributing to UniCamp this year, think about giving a little bit extra. Remember that your contribution increases exponentially as it’s passed from you, to the “studenteers” and onto the campers.